It was a great day at the Dutta Corp Fair Hill International for Maryland competitors with all jumping clean and nearly all inside the time on cross-country. 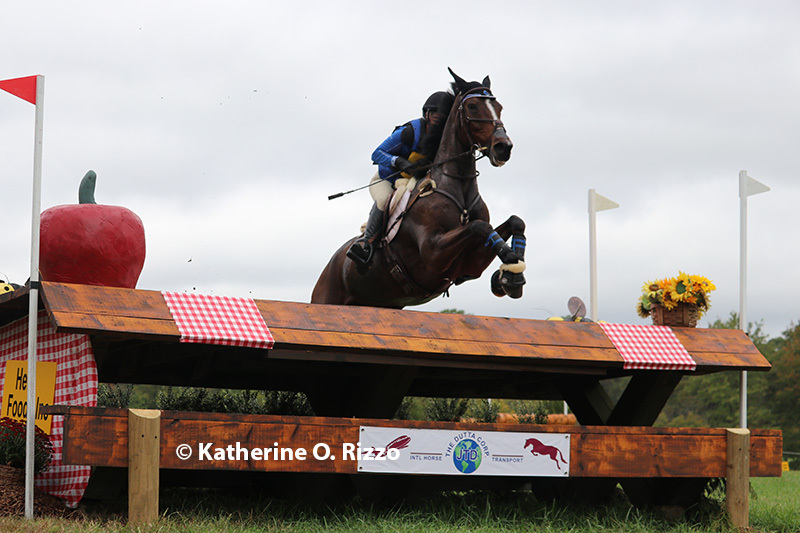 Californian Tamra Smith is still leading the CCI2* with Sunsprite Syrius as Marylanders Savannah Fulton and Colleen Rutledge move up into the top 10. Savannah rode Esstoga Tune early in the division, jumping clean but adding 4.4 time faults to her score. They moved up to 41st place but with her second mount in the division, Brave New World, she jumped clean and inside the time to move up into ninth place. Colleen and UNO also jumped double clean to move up into 10th place. Just outside the ribbons at the moment is Tayler Stewart and Ideal Contini. The pair looked fabulous as they jumped double clean around their first FHI CCI2*. Sydney Solomon and Early Review C also jumped around flawlessly to move up into a tie for 35th place. Grace Fulton’s double clean round moved her and Wild Orange up to 39th place. Sarah Shearin withdrew before the start of cross-county. 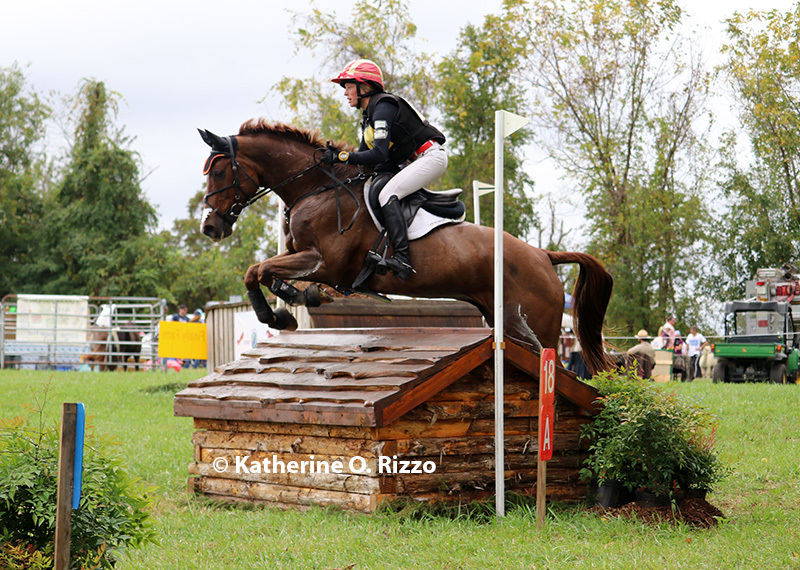 Colleen Rutledge put the pressure on the overnight leader Selena O’Hanlon by jumping clean and fast early in the CCI3* division aboard Covert Rights. Selena and Foxwood High jumped clean but ended up with 1.6 time faults dropping them into second place. 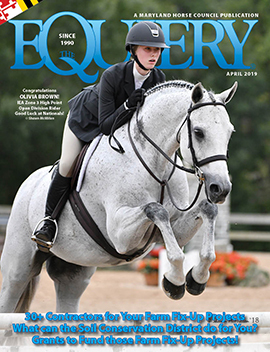 This moves a Maryland native into the number one spot in the CCI3* for the second year in a row! The final horse inspection starts early Sunday morning before the show jumping phase. The CCI2* riders will start out the day followed by the CCI3*. For more photos from today’s cross-country day, see The Equiery’s Facebook page!